Anna Emerson is a thirty-year-old English teacher desperately in need of adventure. 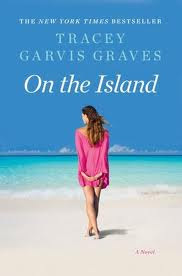 Worn down by the cold Chicago winters and a relationship that's going nowhere, she jumps at the chance to spend the summer on a tropical island tutoring a sixteen-year-old T.J.. I am really torn about this book. On the one hand, I loved it. It was a very well thought out, well written story about a very difficult situation. What happened on the island was realistic in most aspects. (Maybe a smidge optimistic on the supplies available post-shipwreck.) It is a story about a teenage boy and a thirty-something woman who are stranded on an island when the small passenger plane they’re riding in crashes. (Spoiler alert: Stop reading now if you don’t want any hints about what happens in the long-run) The pace was great. I really liked coming back home with the two shipwreck-ees and seeing their transition into society and the way their relationship changed once they arrived home. Kudos to the author for not lingering on the island for longer than necessary. Bravo on tackling a touchy subject – that of the relationship between a thirty-something Woman and a late-teen male. Now, what I didn’t like was that sometimes the storyline was very (completely) sexually-based. That said, do I think it was realistic? Yes. And I appreciate that the author wrote things in a way that fulfilled the letter of the laws of the land. But, coming from a strict, religious background, I don’t like the immorality of the situation in any way, shape or form. But the point is that we aren’t always dealt with situations that we’re comfortable with. Sure, there are seven ways to Sunday that we could all spend debating the morality of this book. Overall: well-done. Tough situation to tackle. Well written. Good read. On a personal note: I won’t be reading it again.